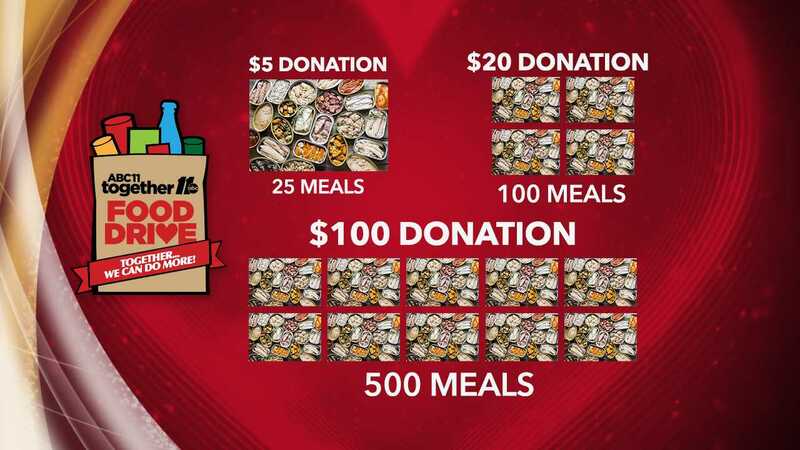 The ABC11 Together Food Drive is celebrating more than 30 years. The ABC11 Together Food Drive helped raise 1.5 million meals, surpassing the goal of 1 million, thanks to your generosity! Carrie Gray with @BASFAgProducts talks about their partnership with the #abc11togetherfooddrive and how important it is to help your neighbors in need. ABC11 will have two drive-thru locations: 1121 Falls River Ave. in Raleigh and 4106 Raeford Rd. in Fayetteville. You can also make monetary donations through Second Harvest FB of SENC or Food Bank of CENC. Monetary donations are being matched up to $77,000! We will also accept your donations over the phone. Call (844) 346-9886 to donate. Our phone bank will be open from 6 a.m. to 8 p.m.
A $5 donation provides 25 meals. So every little bit really makes a difference! The food bank has been a vital source of food for many victims of Hurricane Florence. Thousands of victims are still recovering from the devastating storm. Plus, one in four children in North Carolina are food insecure. Your donations can help make sure the food bank is able to provide for these people. Thanks to our partners: Food Lion, BASF, US Foods, and the Junior League of Fayetteville for their support. 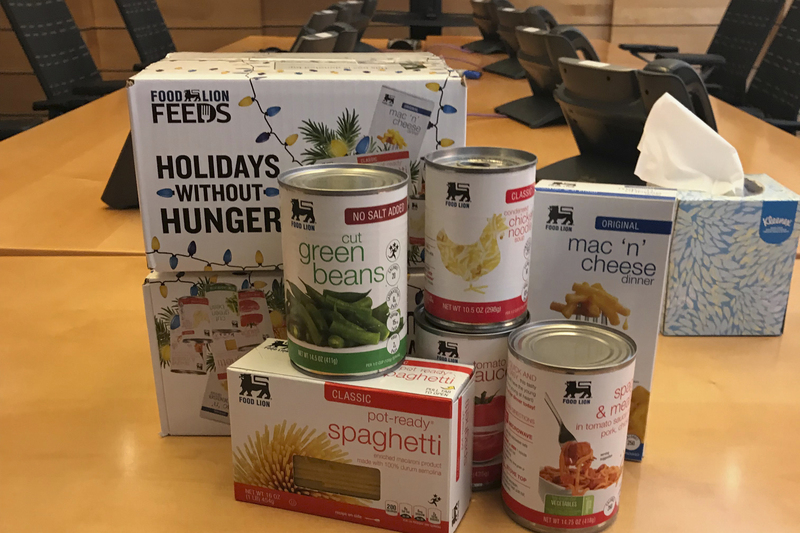 Buy a $5 pre-packaged box or donate non-perishable items at your local Food Lion store, or call (844) 346-9886 to donate!